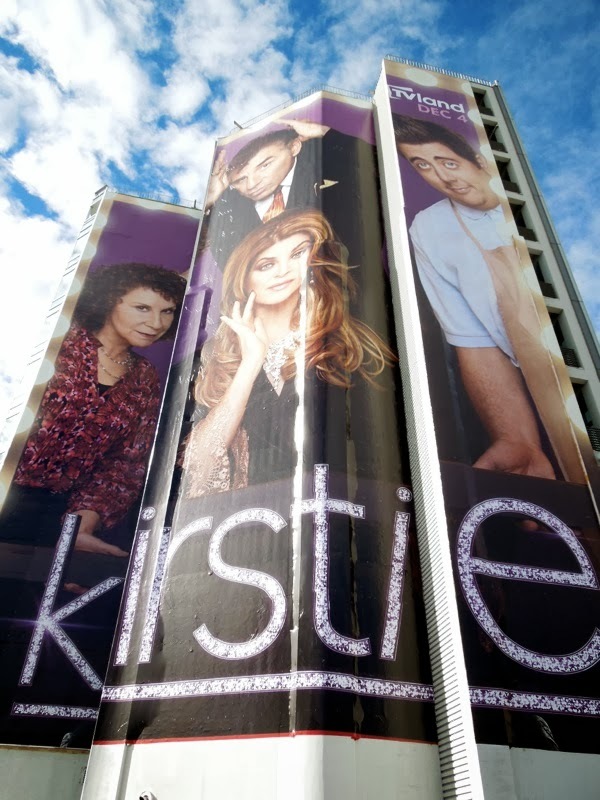 Kirstie Alley in back on our TV screens and she's not alone, as her new sitcom, Kirstie, reunites her with her Cheers co-star Rhea Perlman and Seinfeld alum Michael Richards. 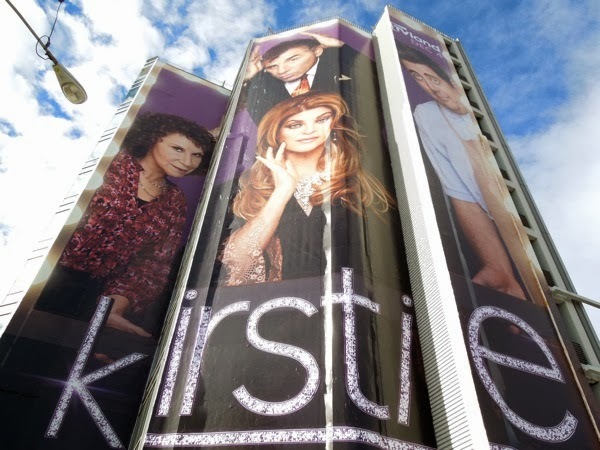 There's also some new blood in the form of Eric Petersen, who plays 'Arlo', the long lost son of Kirstie Alley's Broadway star 'Madison Banks', who she gave up 26 years ago and who wants to reconnect with his birth mother now that his adopted mother has died. TV Land certainly seems to be the place to give comedy legends another chance of fame, you just have to look at the female cast of Hot in Cleveland, which stars Golden Girl Betty White, plus Valerie Bertinelli, Jane Leeves and Wendie Malick, or 3rd Rock for the Sun's Kristen Johnston and Scrubs Donald Faison (amongst others) in The Exes. 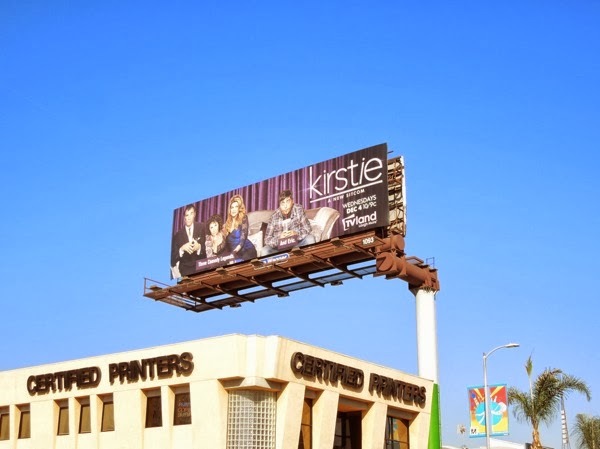 Following her popular appearances on TV's Dancing with the Stars, the regular version and returning for the all-stars season, it looks like Kirstie gets her chance to shine in her own sitcom again, just like in NBC's Veronica's Closet which ran for three seasons from 1997 to 2000. 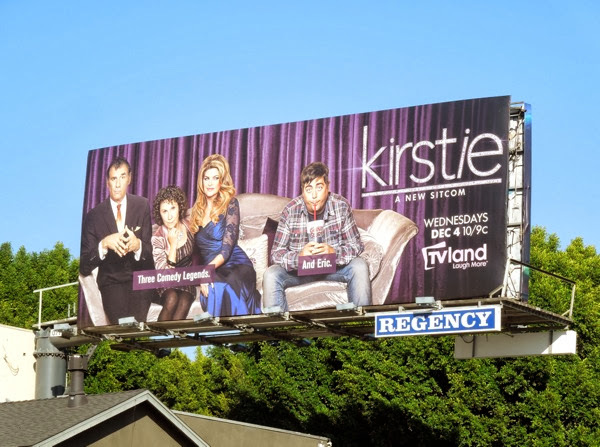 TV Land certainly seems to be supporting her new show with lots of standard landscape billboards like these ads spied along Sunset Boulevard and Cahuenga Boulevard on November 8, plus this giant-sized showbiz ad creative snapped along L.A.'s busy Sunset Strip on November 22, 2013. 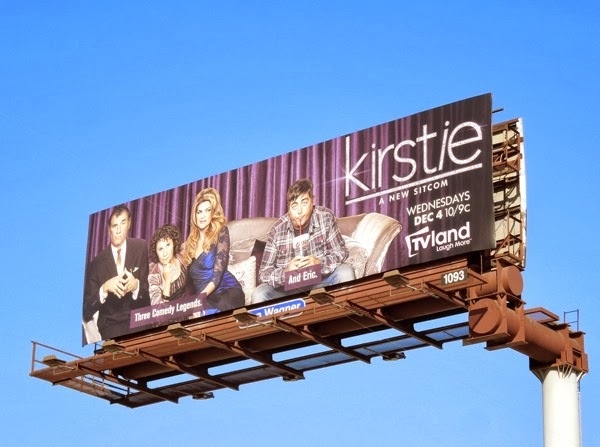 The cable channel certainly seems to have enjoyed great success by bringing back beloved comedy stars in recent years, so let's hope they can strike comedy gold again with Kirstie. 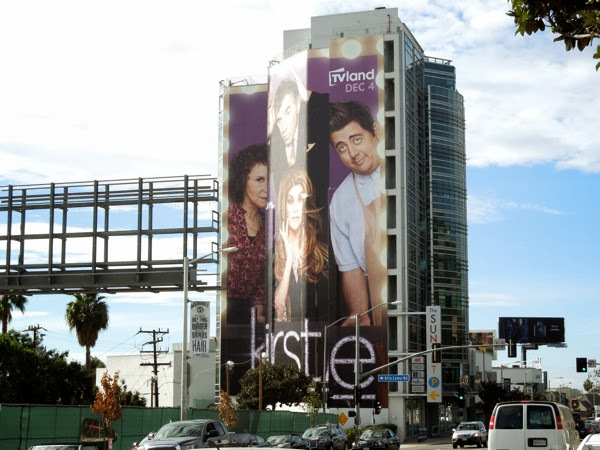 And if the all-star cast doesn't entice you, maybe guest-stars like John Travolta, Kathy Griffin, Jason Alexander and Kristen Chenoweth will tempt you to give it a try. 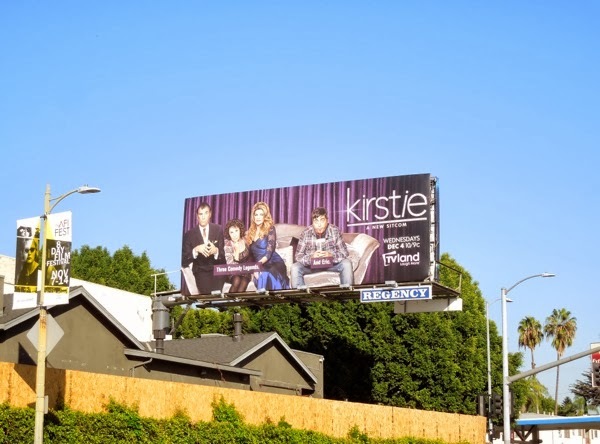 Can't wait to see this! 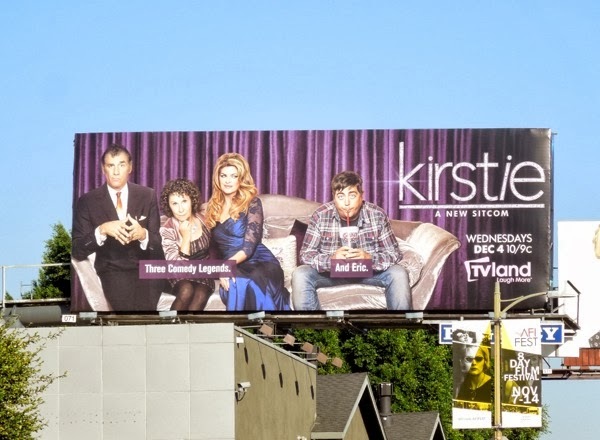 Yeah Kirstie Alley!